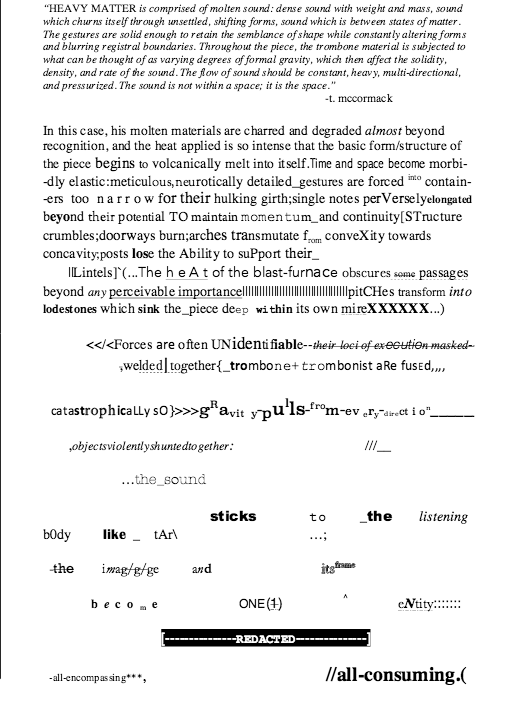 A conversation with trombonist Weston Olencki about Timothy McCormack’s HEAVY MATTER. Directly download the podcast here, or stream it below. Weston Olencki performing Timothy McCormack’s HEAVY MATTER on April 11, 2015 at the CCRMA. Recorded by David Wegehaupt.